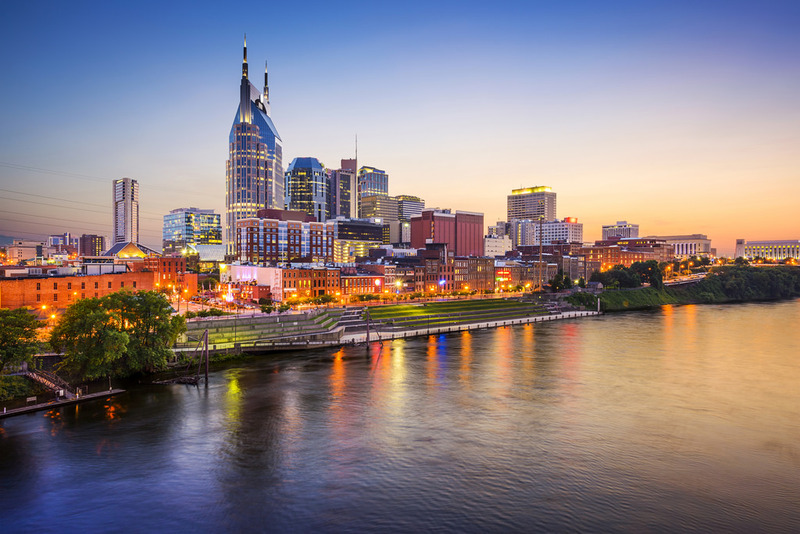 Founded in 1779 and named after Francis Nash, a Revolutionary War hero, Nashville quickly became a prosperous city thanks to being a port on the Cumberland River and its designation as the state capital in 1843. Throughout the 19th and 20th centuries, its manufacturing base developed and thrived, fueling the city’s robust growth. Nashville’s largest expansion occurred between 1960 and 1970 when it annexed 42 square miles of suburbs and more than doubled in size—growing from roughly 171,000 to 448,000 residents. The city’s growth has continued over the past several decades—since 1970, the number of Nashville residents has increased by 40 percent. Helping to foster this growth has been its relatively low cost of living and strong economy, factors that have also made the city a destination for immigrant populations. In fact, between 1990 and 2000, the number of foreign-born Nashville residents increased from about 12,660 to 39,600—a growth rate well over 300 percent. 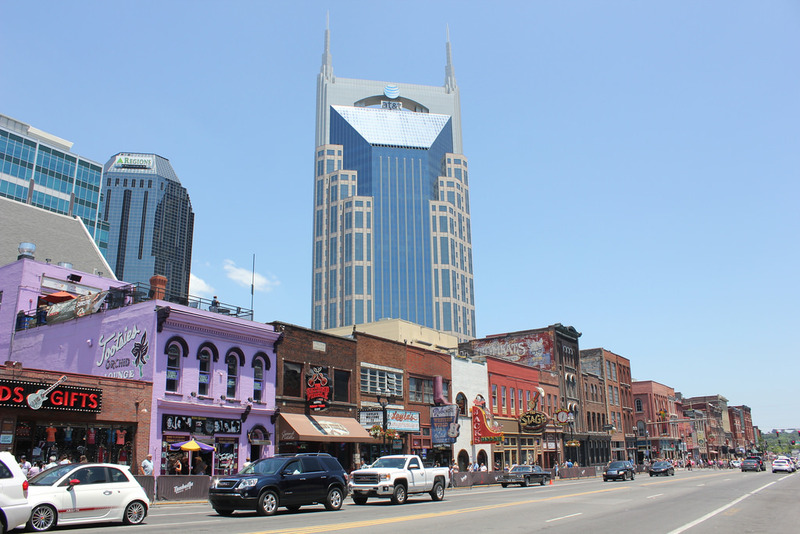 Today, with nearly 655,000 residents, Nashville is the largest city in Tennessee. According to the U.S. Census Bureau, Nashville is 61 percent white, 10 percent Hispanic, 28 percent black, and 3 percent Asian. Despite the city’s robust growth, nearly one out of every five Nashville residents lives in poverty, a rate well above that of the state as a whole (19 vs. 13 percent). Poverty is especially high among the city’s minority populations. The Metropolitan Government of Nashville & Davidson County’s Community Needs Evaluation highlights that nearly a third (31 percent) of black residents and over a fifth of Latino/Hispanic residents (21 percent) had incomes below $25,000 in 2015, compared to just 14 percent of the city’s white population. Data from Policy Link’s National Equity Atlas reveal that homeownership rates also vary significantly by race: while 63 percent of Nashville’s white households owned homes in 2014, homeownership rates among Latino and black households were just 29 and 38 percent respectively. Working to address these disparities are a range of community wealth building organizations such as Urban Housing Solutions, a CDC that owns and operates over 900 affordable apartments and 17,000 square feet of commercial space. Similarly, New Level Community Development Corporation develops affordable housing, provides a range of financial education and homeownership programs, and has a matched savings account program to help families build assets. The city is also home to several nonprofits operating social enterprises that provide valuable community services while creating jobs and training opportunities for area residents. One such organization is Crossroads Community, which aims to help youth facing adversity and neglected animals by bringing them together to heal. Its social enterprise, Crossroads Pets- Shop & Adopt Store, provides youth paid training opportunities and community members pet products and grooming services, while functioning as a pet adoption center for rescued animals. City government and other anchors are also playing an important role in strengthening the local economy. For example, to ensure Nashville residents can access jobs in the region’s growing construction industry, Mayor Megan Barry catalyzed the Nashville Construction Readiness Partnership (NCRP), which focuses on developing and implementing strategies that connect area employers to workers, and providing training for residents with no prior construction experience. Be a Helping Hand develops affordable housing in the North Nashville area. Since its establishment in 2004, the nonprofit has developed or renovated 30 affordable units. The organization is part of the North Nashville Consortium, a partnership of four area nonprofits that are stabilizing North Nashville neighborhoods by purchasing and rehabilitating foreclosed, vacant, and abandoned properties. With $3 million in HUD funding, the group plans to renovate 40 units to rent to low-income Nashville families. Founded in 1999 by Nashville’s Fifteenth Avenue Baptist Church, Fifteenth Avenue Baptist Community Development Corporation aims to connect vulnerable people to opportunities and services so that they can overcome adversity, enhance their quality of life, and participate in the community’s revitalization. Projects include the redevelopment of a dilapidated carwash into an 18,000 square foot mixed-used project and a 25-unit affordable housing complex for seniors. The CDC also runs a workforce development program which provides self and skills assessments, soft-skills training, life-skills training, specialized industry training, and job placements services. Focused on empowering Nashville communities and residents, New Level Community Development Corporation develops affordable housing and provides a range of financial education and homeownership programs and trainings. Its matched savings account program helps families build assets by providing a 2:1 match up to $4,000. Development projects include the renovation of 11 foreclosed and vacant homes in North Nashville into affordable rentals, as well as an 8-unit rental project downtown. Established in 1991, Urban Housing Solutions seeks to provide affordable housing for people with unique needs, and to revitalize and enhance Nashville’s neighborhoods. To do so, it owns and operates 30 properties encompassing over 900 apartments and 17,000 square feet of commercial space, which it provides at affordable rates to support neighborhood start-ups. The nonprofit also provides social service referrals and transportation to residents needing supportive services. The Housing Fund finances affordable housing and neighborhood revitalization projects across Middle Tennessee. Since its incorporation in 1996, the CDFI has lent over $66 million, which in turn has leveraged over $400 million in private financing to support more than 4,300 units of housing for low and moderate income families. Founded in 1955 by a group of educators aiming to ensure people could access low-cost financial services, Cornerstone Financial Credit Union has grown into a credit union with 33,000 members, nearly $3 million in assets, and 6 branches across Middle Tennessee. Committed to the community, Cornerstone has awarded $25,000 in college scholarships to area students since 2011. Founded in 1950, The Tennessee Credit Union (TTCU) has grown into a full-service financial institution with nearly $3 million in assets and 10 branches across East and Middle Tennessee. To promote saving among youth, TTCU allows young community members to open accounts with a $5 deposit. It also offers prizes to youth who save each month and operates a branch out of a local high school. Founded in 1949 by a small group of Veterans Affairs hospital employees, U.S. Community Credit Union has grown into a full-service financial institution with over 22,700 members, more than $1.7 million in assets, and 10 branches. Two of its branches are student-run and located in area high schools, where they provide full services to students, faculty, and staff during the lunch period. InfoWorks is a 100 percent employee-owned firm that provides analytics, management, and technology solutions to companies in the Mid-South. Recognized in 2017 as a “Best Place to Work” by the Nashville Business Journal, InfoWorks aims to treat its roughly 100 worker-owners like family. Also committed to the community, InfoWorks supports a range of nonprofits located in Middle Tennessee and encourages its employees to participate in volunteer activities. Premier System provides turnkey system integration, panel fabrication, consulting, outsourcing, recruiting, and other key services to manufacturers across the U.S. Founded in 1991, the company became 100 percent employee owned in 2014. With its headquarters in Nashville and regional offices in Decatur, AL and Cincinnati, OH, Premier System has over 140 employees. Established in 1958, T.W. Frierson Contractor, Inc. is a general contracting firm committed to providing environmentally sustainable solutions for all facility types. In 2016, the firm transitioned from family-owned to employee-owned, making it Nashville’s first employee-owned general contractor. T.W. Frierson currently has 140 worker-owners. Founded in 2010, Turnip Green Creative Reuse is a nonprofit reuse store that aims to foster creativity and sustainability. The store accepts a wide range of donations, including paper, craft items, natural materials, art supplies, office supplies, fabrics, plastics, and metals, diverting over 125 tons of materials from the landfill. To ensure items are accessible to all area residents, shoppers are asked to pay what they can. The nonprofit also includes a “green gallery,” where artists can share works that reuse industrial and household materials, and open studio space. Urban Green Lab aims to improve Nashville’s health and well-being by inspiring residents to incorporate sustainability in their daily lives, including their homes, neighborhoods, and businesses. To do so, the nonprofit offers a range of workshops focused on sustainability practices that save money, improve health, and conserve resources. It also has a Mobile Lab that enables the nonprofit to bring its programs to local schools and diverse, underserved populations. In 2014, Urban Green Lab conducted 60 workshops involving 1,858 people. The Nashville Entrepreneur Center aims to connect entrepreneurs in the healthcare, music technology, social enterprise, and publishing fields to the resources they need to launch and grow businesses. Since its establishment in 2010, 325 businesses have graduated from its programs. Its graduates are credited with creating 545 new jobs and raising $86 million in capital. Committed to fostering inclusion, the Center offers scholarships to women, veterans and other minorities, and runs a podcast focused on providing insight, knowledge, and awareness into diversity and inclusion issues in Nashville. Based in Nashville, the Nashville Minority Business Center aims to foster the establishment and growth of minority-owned businesses in Tennessee. To do so, the Center provides minority entrepreneurs with management and technical assistance, coordinates existing public and private resources to benefit minority business enterprises, and serves as a conduit for information and assistance to and about minority businesses. It also manages the Nashville Minority Business Development Loan Fund (also known as “The One Fund”), which facilitates economic development by providing low-interest loans to small businesses in targeted census tracks. Pathway Women’s Business Center works to support and accelerate the growth of women-owned business. The Center provides a range of a services, including business counseling, classroom training, and peer-to-peer learning, all geared to help entrepreneurs successfully start, expand, and manage their businesses. In 2015, the Center hosted 64 educational events, supported over 600 entrepreneurs, facilitated the launch of 22 new businesses, and helped clients access an additional $1.75 million in financing. Affordable Housing Resources focuses on helping Middle Tennessee’s low and moderate income families achieve homeownership. To do so, the nonprofit: develops affordable housing; provides individual counseling and group classes focused on homebuying, foreclosure prevention and financial planning; and offers low-interest mortgage loans and down payment and closing cost assistance. Since its incorporation in 1989, it has developed 1,300 new homes and helped more than 14,000 families and individuals buy homes. Green Door Gourmet is a 350-acre organic farm located less than ten miles from Nashville’s downtown that grows fruits, flowers, vegetables, and herbs using holistic methods. Products are sold through its CSA and at its on-site store, which also serves as a local food hub by offering goods from over 100 other local artisan producers and growers. Green Door Gourmet supports the community by donating a portion of its products to area food banks and charities. Nashville Grown is a Nashville-based food hub focused on building the capacity of the local food system so that small, sustainable, local farms will thrive. Established in 2012, the food hub helps connect about 20 small, sustainable local farms and markets located within 100 miles of Nashville’s downtown with wholesale opportunities at restaurants, grocery stores, and schools. To ensure minority communities can access the training needed to become sustainable farmers, Nashville Grown launched its Refugee Farm Lab in 2013. After completing a series of classes, participants can farm on the Lab’s incubator farm for up to three years and access free equipment, supplies, and mentorship for a year. The nonprofit also runs a Landshare program, which helps match area farmers with available land. Aiming to cultivate community and alleviate hunger in Nashville, the Nashville Food Project works to bring people together to grow, cook, and share nourishing food. Its urban gardens grow food for its programs, provide space to individual gardeners to grow food for themselves or families, and serve as a venue for a range of gardening workshops and classes. Its kitchens prepare about 1,100 meals a week using the food it grows and other donations, which are then delivered across the county to people in need. Aiming to ensure Nashville residents can access jobs in the region’s growing construction industry, Nashville Mayor Megan Barry catalyzed the Nashville Construction Readiness Partnership (NCRP) to develop and implement strategies that match area employers with skilled county workers and provide training opportunities for residents with no prior construction experience. The creation of NCRP follows the passage of a 2015 charter amendment requiring that 40 percent of all construction hours on Metro-funded projects be completed by county residents. Radio Free Nashville is a local radio station owned and operated by the community that features a variety of music, news, and talk shows. Community members create and run the programs, and are responsible for all aspects of the operation. To ensure all community members can participate, training is provided free of charge to people interested in programming or operating the station. To date, over 140 community members have been trained, 90 of whom are currently on the air. Crossroads Community is a nonprofit aiming to create hope and a sense of connection for young people facing adversity and neglected animals by bringing them together to heal. To provide paid job training opportunities for youth while generating revenue for its other programs, Crossroads runs a social enterprise, Crossroads Pets- Shop & Adopt Store. In addition to providing community members with pet products and grooming services, the store functions as a pet adoption center for rescued animals. As many program participants have struggled to find affordable housing, Crossroads Community is in the process of developing a residential space above its store that will provide safe, affordable living space to program participants transitioning into adulthood and independent living. Launched in 2009, Go Green Home Services is a social enterprise that makes home repairs and upgrades that improve a residence’s health, safety, and energy efficiency. Half of its net revenues support Hands On Nashville’s Home Energy Savings program, which provides free energy-saving upgrades to about 50 Nashville low-income families a year. Since 2011, the program has helped 275 low-income homeowners save an estimated $275,000 in utility costs. Initiated in 2007 by Brentwood UMC, a church seeking to partner with an urban neighborhood to affect positive community change, Harvest Hands is a nonprofit guided by a mission to empower people so that they can bring about positive change within themselves, families, and neighborhood. A key early focus was its after-school program, which has expanded from 12 to 60 elementary and middle school students. Recognizing that older students needed more than homework help, the nonprofit launched enterprises through which students could earn money and learn skills. In February 2016, its two enterprises merged into one company, Humphreys Street Coffee and Soap, selling homemade soap and ethically and sustainably-grown and traded coffee. The business currently employs about 16 youth from South Nashville, and all profits are directed towards the nonprofit’s programs and scholarships for participating students. Founded in 2013, Old School Farm is a 9-acre sustainable farm that grows quality food while providing jobs for people with intellectual and developmental disabilities. The fresh produce is sold through the nonprofit’s CSA and at farmer’s markets, and used at the on-site, farm-to-table restaurant, The Old School. Started in 2001 as a small enterprise making products in a chapel kitchen, Thistle Farms now includes three social enterprises that provide supportive, skill-building employment opportunities to 59 women healing from prostitution, trafficking, and addiction. The enterprises include Thistle Farms Home & Body, which manufactures natural bath and body products sold online and through 450 stores across the country; Thistle Stop Cafe, which provides drinks and homemade, healthful food; and Thistle Farms Studio, which makes a variety of artisan crafts involving paper-making, screen-printing, sewing, and metalwork. Launched in 2012, Thistle Farms Global is a partnership of 18 social enterprises from 10 countries employing over 1,000 women that have come together in an on-line international marketplace that directly links women producers to customers, thus increasing wages and profits for the women survivors. Founded in 1890 as a women’s college with 90 students, Belmont is now a co-educational Christian university with more than 7,700 students. Belmont has partnered with Nashville’s Metro Board of Parks and Recreation to transform the 24-acre Rose Park into a state-of-the-art community facility with sports fields, a basketball court, a walking track, and a training facility. Belmont invested over $9 million in the project, and continues to contribute $50,000 a year to support park programming for youth and seniors. Also committed to diversity and inclusion, in 2015, the University launched its Supplier Diversity Program to ensure its procurement base would better reflect its community.